Take a deep, cleansing breath. Hold it for a moment and then exhale, slowly. Here’s a guide to help you find the perfect Day Spa in Colorado that will really help you to relax. Does the Day Spa offer a unique environment that sets the mood for your Day Spa adventure? Is it contemporary or country rustic? This is going to be your sanctuary for the next several hours, so pick a place that will help you get into your comfort zone. 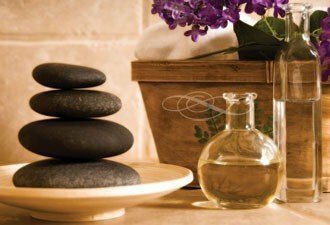 Does the Day Spa offer professional spa products, or just some off the shelf products. You should be able to try new products that you wouldn’t normally get from a run-of-the-mill facility. Are all of the massage therapists licensed and do they come from strong backgrounds, like the Canyon Ranch Spa or other upscale spas? This is a good sign that they know how to provide the quality guest experience that great spas are known for. Does the owner work at the Spa, or is it simply an absentee owner who’s trying to milk as much money as possible? Are the spa packages affordable? It doesn’t make much sense to overpay considering the economic times. Does the Spa have innovative treatment offerings? Maybe you’d like to try a body scrub, a creative massage and facial combination, or a couples massage. Try something you’ve never had before. Are you offered complimentary beverages and snacks, such as hot tea and granola bars? Is the facility immaculately clean? Is there a real commitment to the guest experience that starts when you walk in the door? Is there plenty of free parking? Is it easy to find? You don’t want to be stressed before you even enter the facility. Can you take a tour beforehand if you have any questions? Be sure you’ll get the desired Spahhh effect. Day Spas are not just for the rich and famous. The benefits of massage are real and necessary for everyone. A Day Spa in Colorado can help you reduce stress, improve circulation, enhance your mental state and help soothe sore muscles.